Philadelphia — On April 24, political prisoner and world-renowned journalist Mumia Abu-Jamal turns 60. He has spent over half his life in solitary confinement on Pennsylvania’s death row, and most recently, since early 2012, he has been in general population at SCI Mahanoy where he still faces life in prison despite ample evidence of his innocence. In December 2011, nearly three decades of relentless struggle on Abu-Jamal’s behalf resulted in lifting the death sentence he had faced since 1982 when he was unjustly convicted of the murder of a Philadelphia police officer. Threats to Abu-Jamal’s life continue. That the Fraternal Order of Police in Philadelphia is still determined to silence him is evident in their recent attacks on Debo Adegbile, President Obama’s nominee to the U.S. Department Justice, because of his legal advocacy work for Abu-Jamal. While an attorney for the NAACP’s Legal Defense Fund, Adegbile provided support for attorneys who successfully argued for relief in Abu-Jamal’s 1982 death sentence due to erroneous instructions given to the jury by the prosecutor. The FOP used the opportunity of Adegbile’s nomination to further promote their lies and distortions about Abu-Jamal’s case. Abu-Jamal’s supporters are even more determined that the truth will prevail. 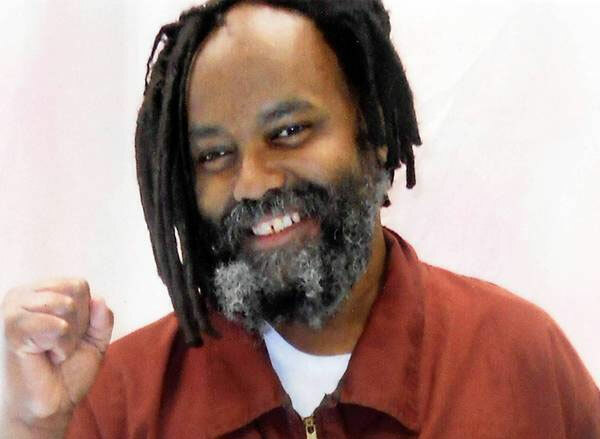 A broad coalition of individuals and organizations committed to see Abu-Jamal released from prison will hold a series of events to celebrate his 60th birthday in Philadelphia from April 24 to 26. The kick-off event on April 24 will be a special program dedicated to the late Amiri Baraka and Amina Baraka and the Black Arts Movement. The ticketed dinner to celebrate Mumia’s birthday will feature Cornel West, the Last Poets, Marvin X, Ewuare Osayande, video presentations from Angela Davis and Mama Charlotte O’Neal, a live jazz band and more. Tickets can be purchased at Aytia Ola’s Spirit First Foods at 4505 Baltimore Ave. in Philadelphia or online at tinyurl.com/njeglla. On April 25, Books & Beats Free Mumia Edition will be held at Black Angel Café at 4414 Germantown Ave. featuring local Philadelphia poets. Admission is $10 at the door and proceeds will benefit local work to free Mumia. A Sons & Daughters of the Revolution March will take place April 26 from 10 to 11 a.m. starting at the former Black Panther Party headquarters at 19th Street and Cecil B. Moore Avenue and marching to the historic Church of the Advocate at 18th Street an Diamond Avenue. The former BBP headquarters is where Abu-Jamal got his start as a youth with BBP Captain Reggie Schell in the fight for social justice. The historic Church of the Advocate is where Father Paul Washington held meetings and led voices of resistance to the government and the mental terrorism of that time. At the Church of the Advocate, marchers will join a Celebration of Life/Constitutional Protest through the Arts. The event from 10 a.m. to 6 p.m. will feature performances by Dead Prez, Immortal Technique, Dice Raw, Jasiri X, Taina Asili, the Universal African Dance and Drum Ensemble, Hakim Green (Channel Live) and more. Starting at 11:30 a.m., there will be workshops and panels inside the church on political prisoners, know your rights, gentrification, the school-to-prison pipeline, attacks on progressive lawyers, and updates on Mumia’s case. Throughout the day, there will be vendors and activities for children. Co-sponsors of the activities include the Campaign to Bring Mumia Home, International Concerned Family and Friends of Mumia Abu-Jamal, International Action Center, Coalition to Free Mumia (NYC), Educators for Mumia, and Committee to Save Mumia. Information on all events is at bringmumiahome.com. 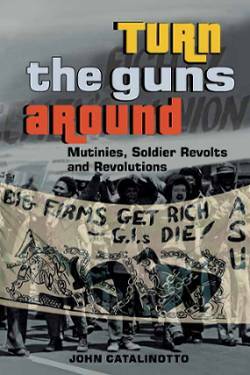 Minister of Confrontation for the MOVE Organization Pam Africa told Workers World, “The attacks on Mumia and our community persist, but we are the solution. We celebrate in defiance to the system. We are not only celebrating the birthday of Mumia Abu-Jamal but also the birthdays of other freedom fighters: Dr. Ed Robinson, The MOVE family, Marshall “Eddie” Conway and Father Paul Washington.